The National Labor Relations Board has ruled that Harvard prevented a free and fair election on forming a graduate student union, clearing a path for another vote. A year after the first vote was deemed too close to call and 300 ballots were challenged, the NLRB said administrators left more than 500 off the voter rolls and denied Harvard’s appeal of a previous decision that called for a new election. 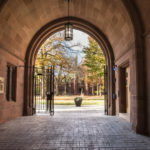 The NLRB’s latest decision follows a 2016 ruling that found students who work as research assistants at private universities have the right to collectively bargain. A new election is expected early next year.